I’m a 2D animator and illustrator based in Norwich, England. I studied at the Norwich University of the Arts in Graphics and Animation, receiving a First Class Honours Degree for my final film, depicting a battle between two giant robots in a city, created using a combination of Photoshop, Flash and After Effects. I’ve grown up playing video games and am a keen gamer, and an aspiration of mine as a boy was to make my own game one day. It seems easier than ever these days with the tools available, but now it’s just a matter of time. My illustration style inspiration stems from character profiles that one may find in old gaming manuals, such as for the NES, SNES and Mega Drive, and various other comic book influences. 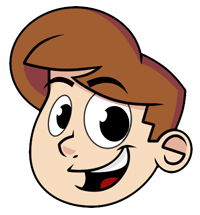 Being a freelance animator I can say that various other skills have presented themselves to me, such as design and communication to name just a couple, and the more and varied work I do, the more it feeds back to overall style, allowing me to grow and advance as an artist. Other particular influences on my animation and design are the Mega Man video games, introducing my love of platform games and robots, Tom & Jerry and Ducktales, where my love of animation came from, and more recently artists such as Dan Schoening (who illustrates the IDW Ghostbusters comic) and illustrator Sean Galloway have given me a new benchmark on my illustration. I enjoy working in a team and find a creative and social atmosphere very beneficial to work in. As with all creatives, I can also work on my own and regularly find myself having to choose which project to work on next thanks to the overflow of ideas. I also run a YouTube channel which looks at video game design, with a leaning towards visual studies and animation studies in video games.